Introducing VitrA Fresh, which will make your life easier and leave you more time to enjoy life rather than cleaning! We all understand to maintain toilet hygiene is necessary for you and the family‘s health. Keeping a toilet clean is not only better for your health but also more pleasant for your visitors. However, toilet bowls can be absolutely challenging to get to the sparkling level, this means you end up spending much more time than you’d like crouched down beside the loo scrubbing away. VitrA Fresh is a remarkable new innovation by ceramics expert VitrA. A smart and unnoticeable ceramic covered tank at the back of the seat, which allows you to fill in with toilet cleaning liquid. As the result, the cleaning liquid will be dispensed efficiently with each flush. This can protect your toilet against the bacteria building up. Also, keeps your washroom smelling nice and fresh. 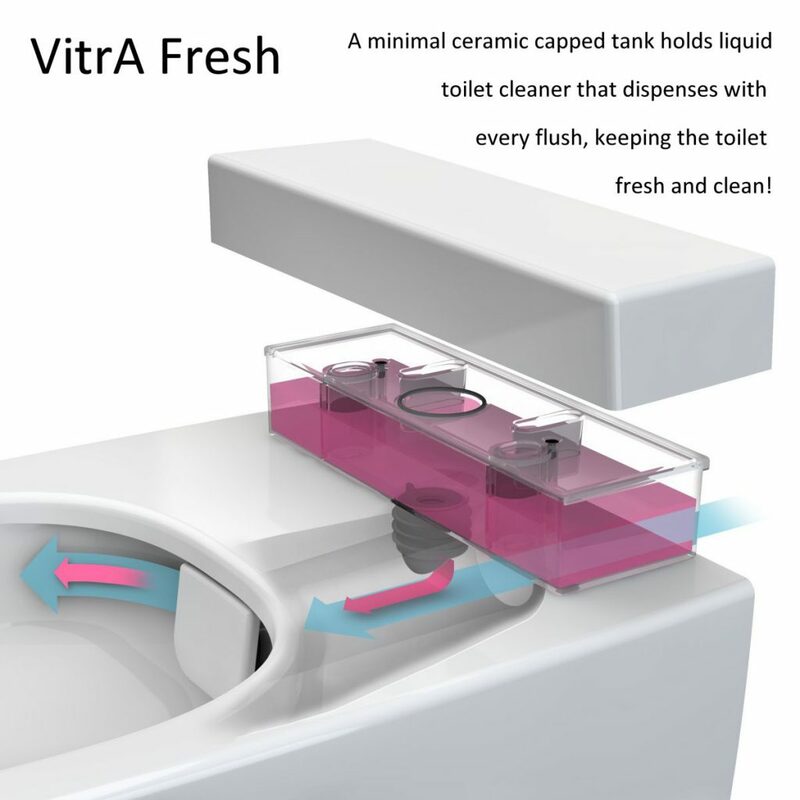 The VitrA Fresh is very simple to operate. You only need to fill it up, flush it then you will have a fresh clean toilet. 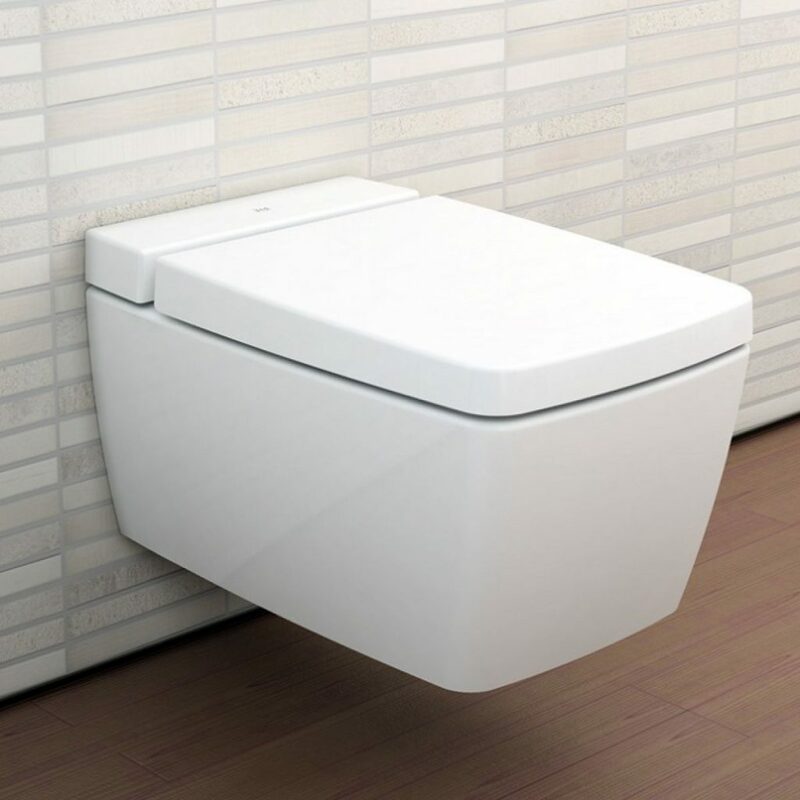 The rimless toilet is the latest trend in toilet design. The name itself indicates that it’s a toilet without a rim at the top of the bowl. 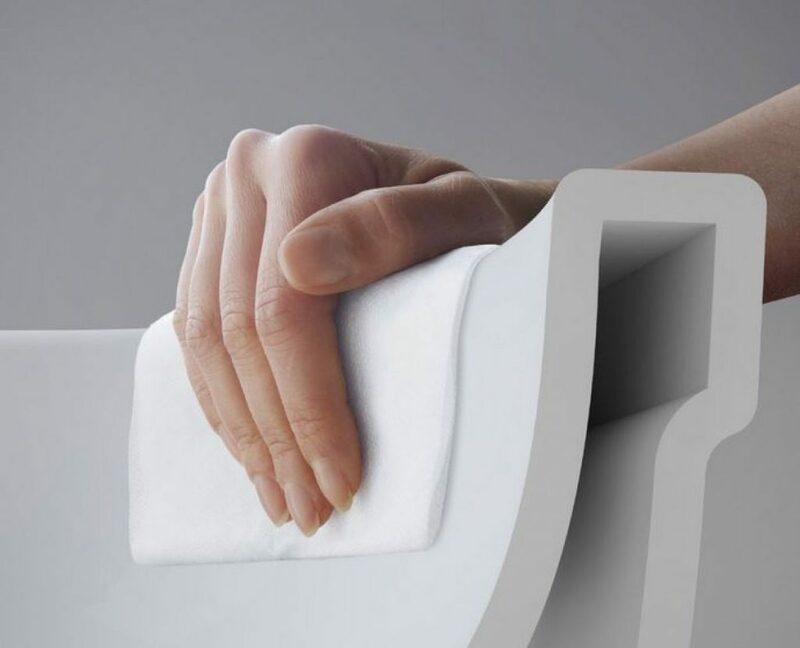 Due to the design, there is nowhere in the toilet bowl for dirt and germs to hide. Therefore, this makes the cleaning process even easier. Furthermore, the water usage is more efficient than a typical flushing toilet.